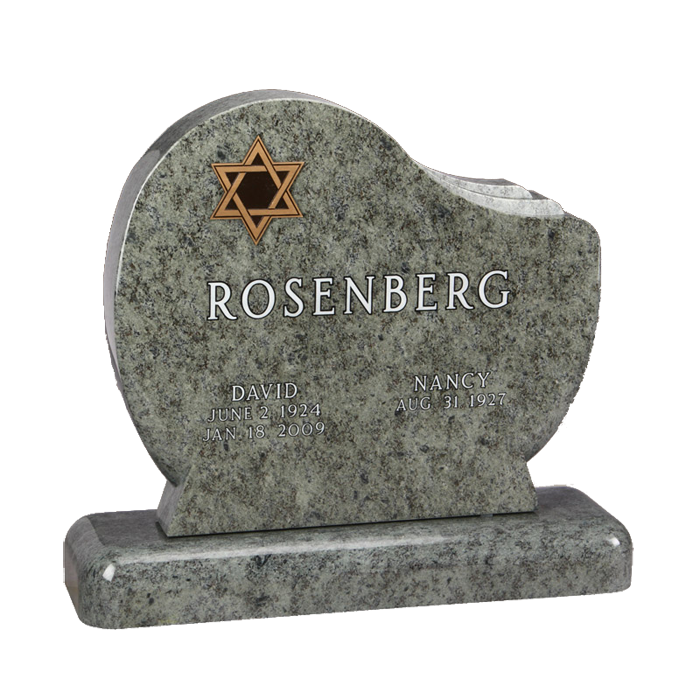 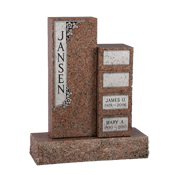 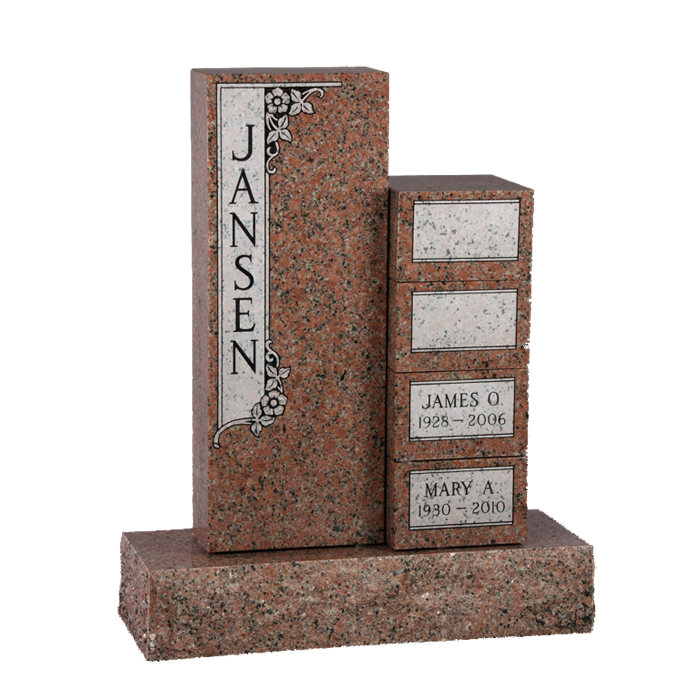 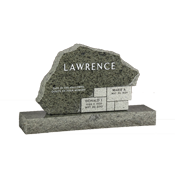 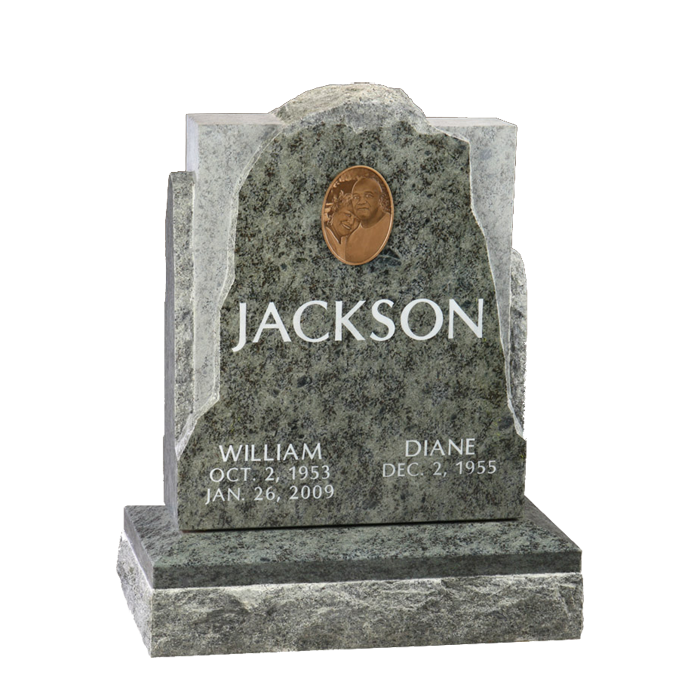 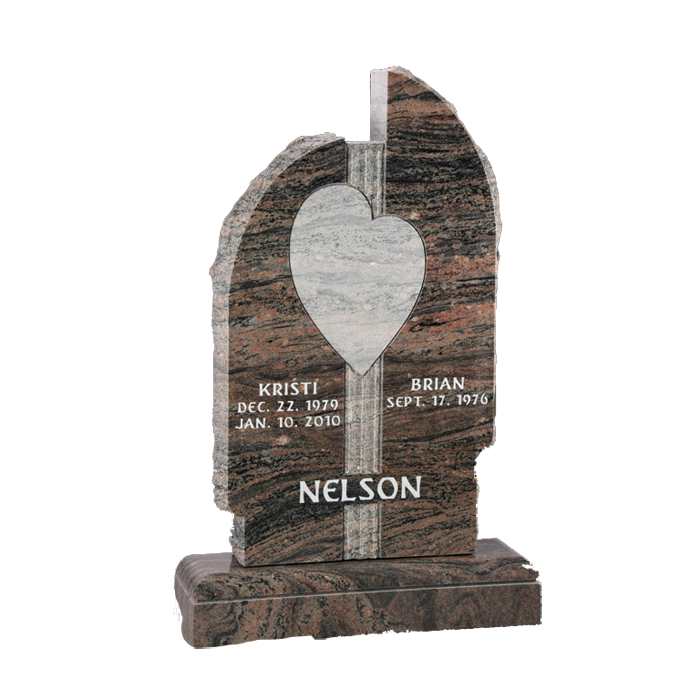 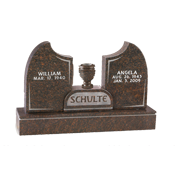 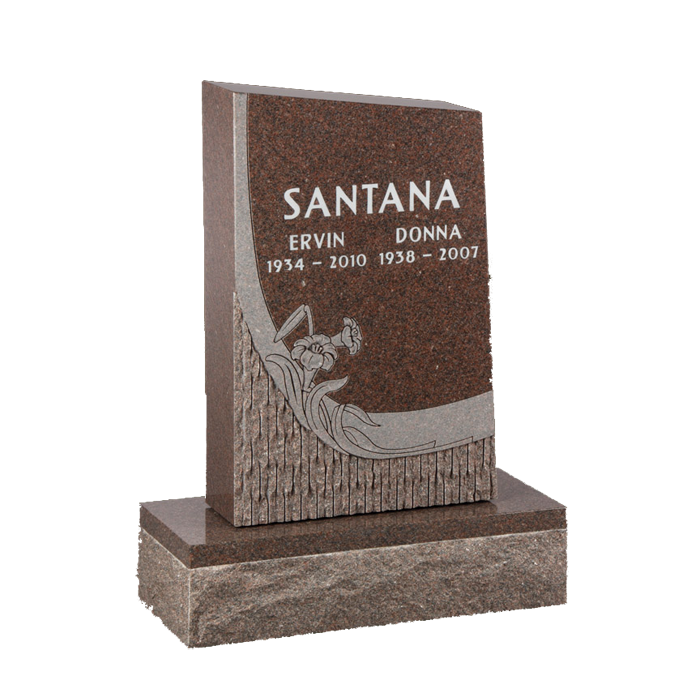 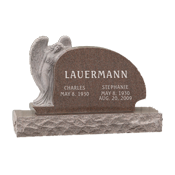 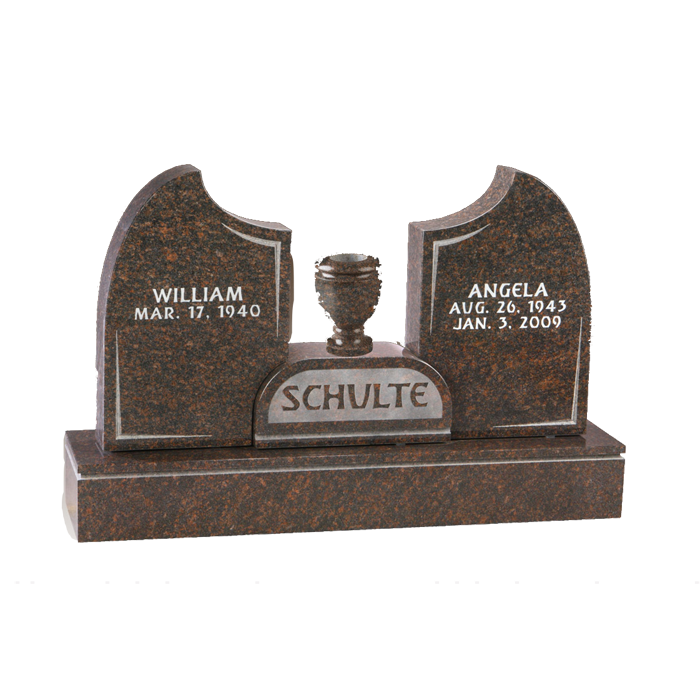 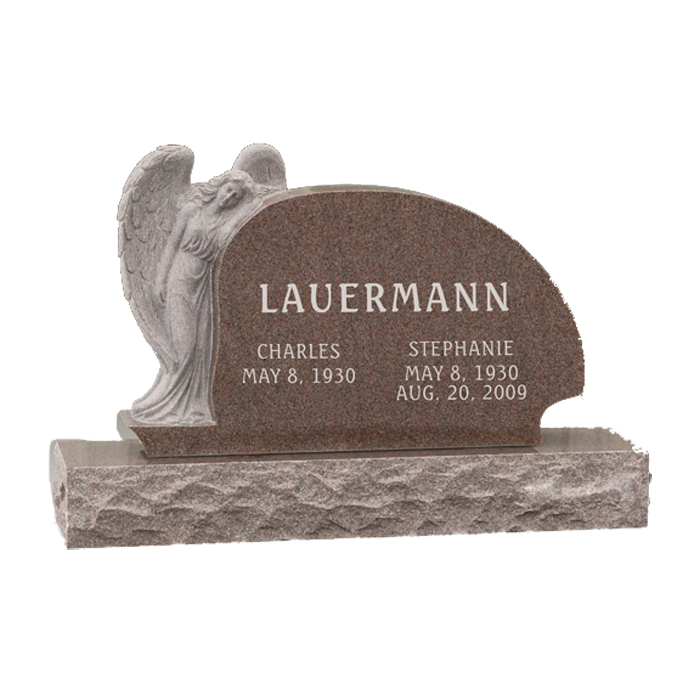 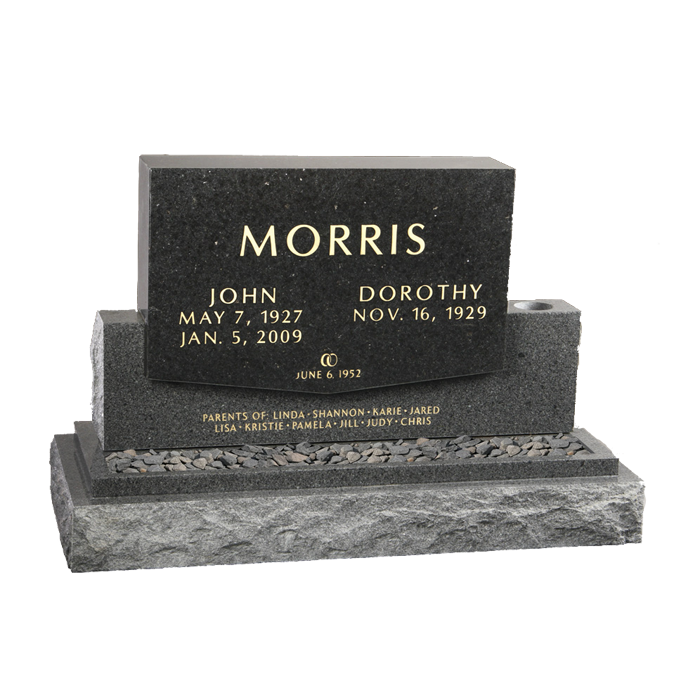 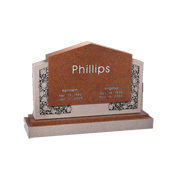 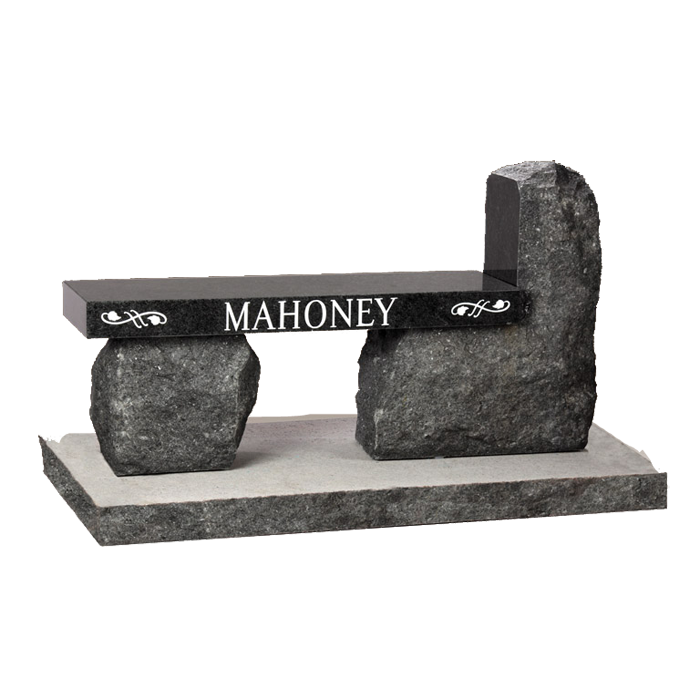 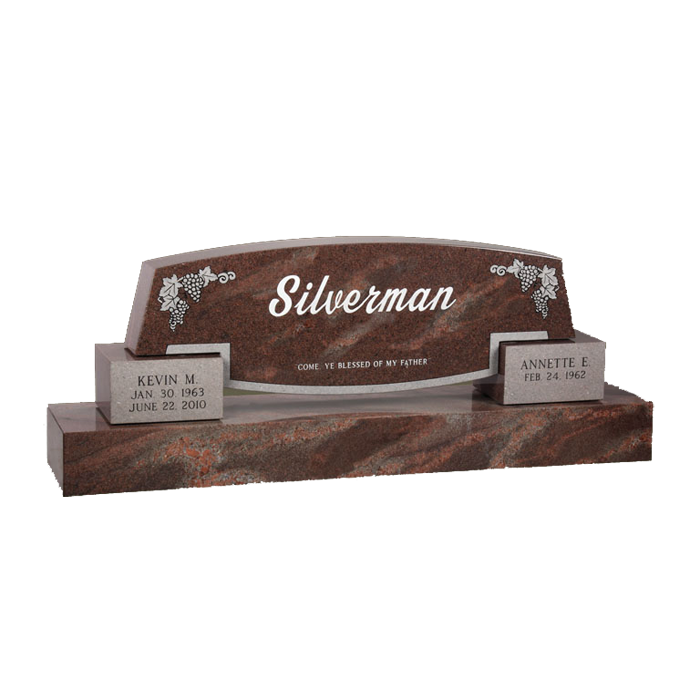 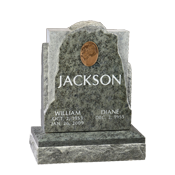 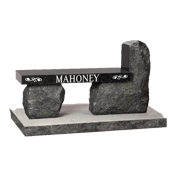 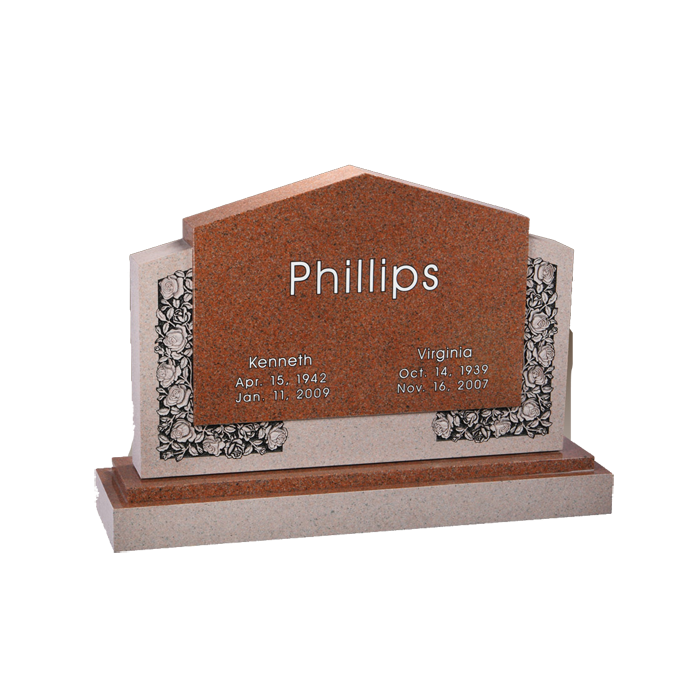 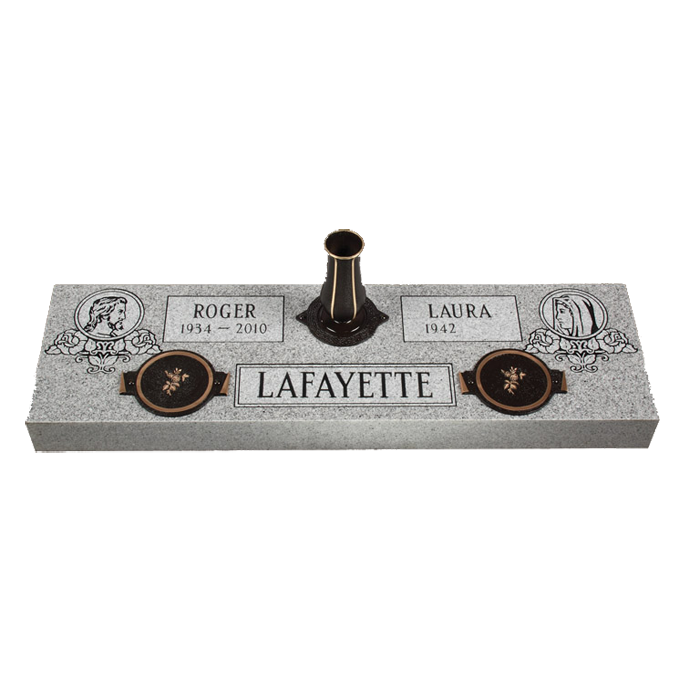 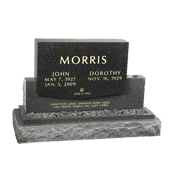 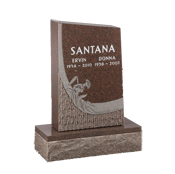 Single and double upright monuments - Cemetery memorials that stand above the level of the ground. 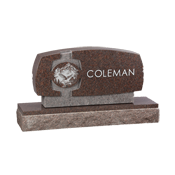 They can be any shape and size, are usually 6 to 8 inches thick, and sit on a granite base. 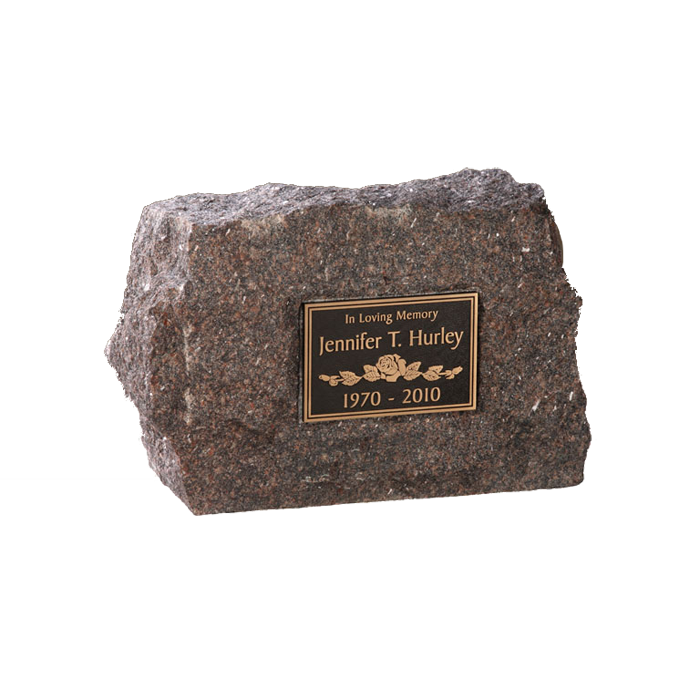 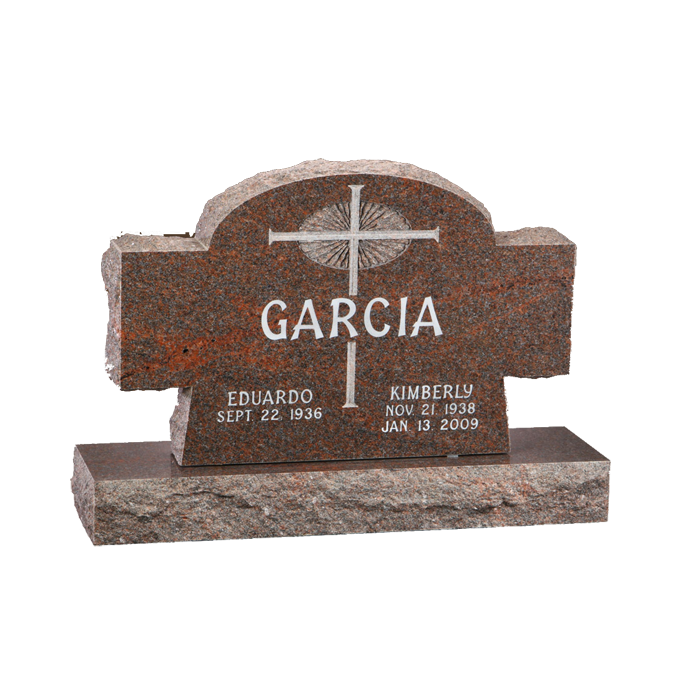 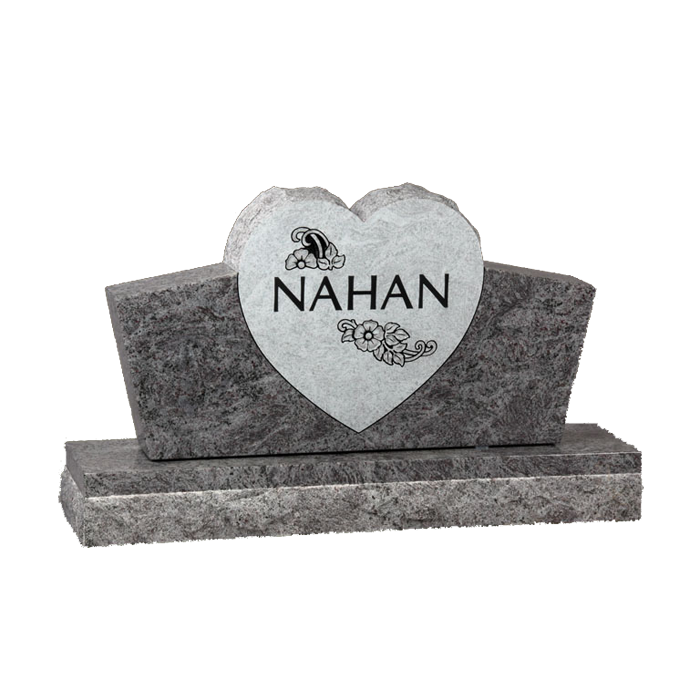 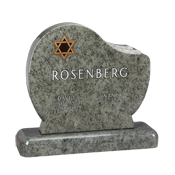 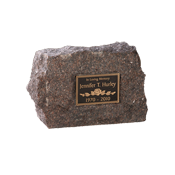 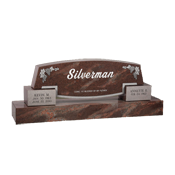 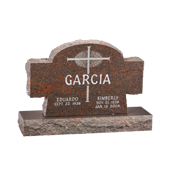 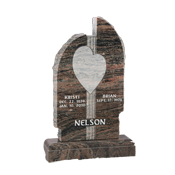 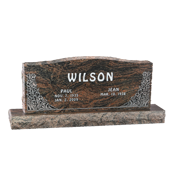 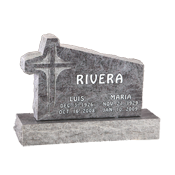 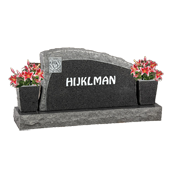 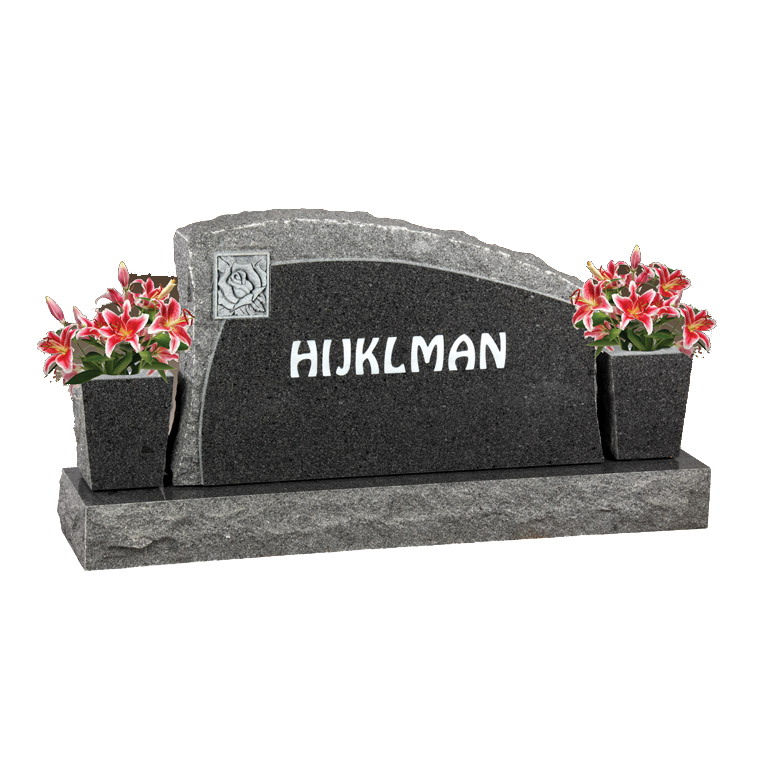 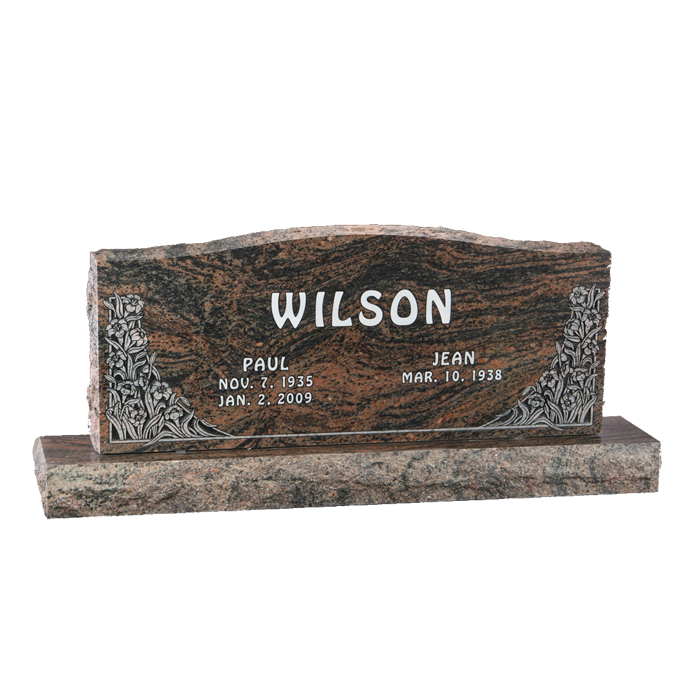 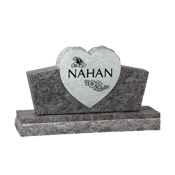 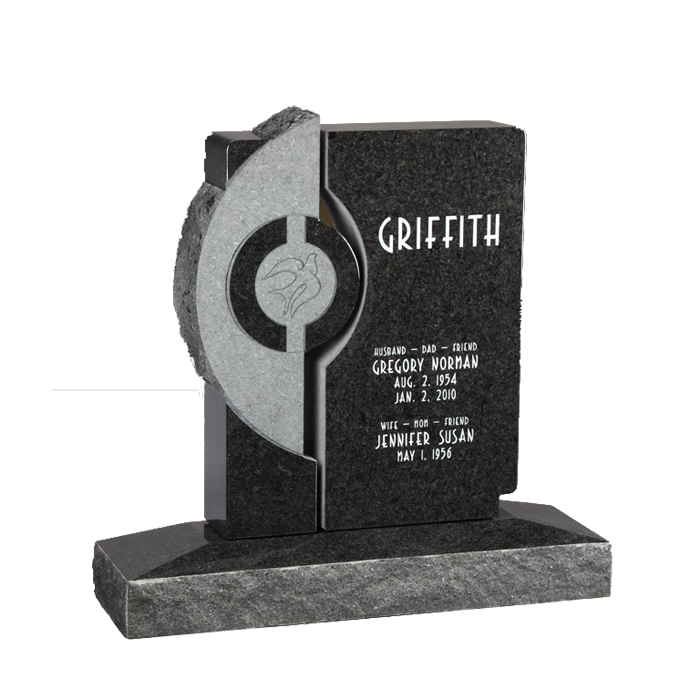 They can be created from any color granite and are fully customizable. 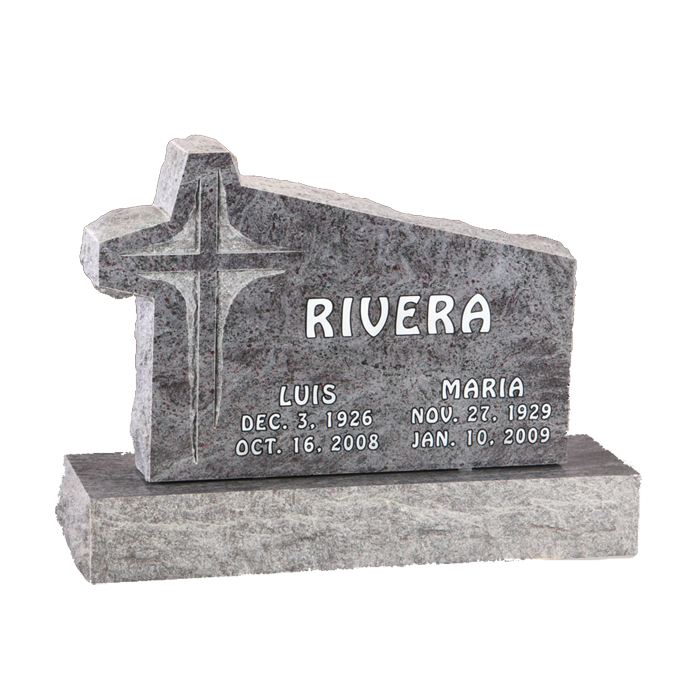 Grass Markers, Slant markers, Flush markers - Designed to be flat with the ground when installed. 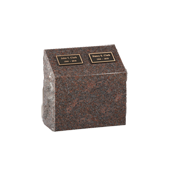 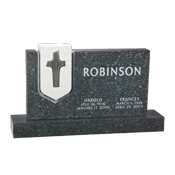 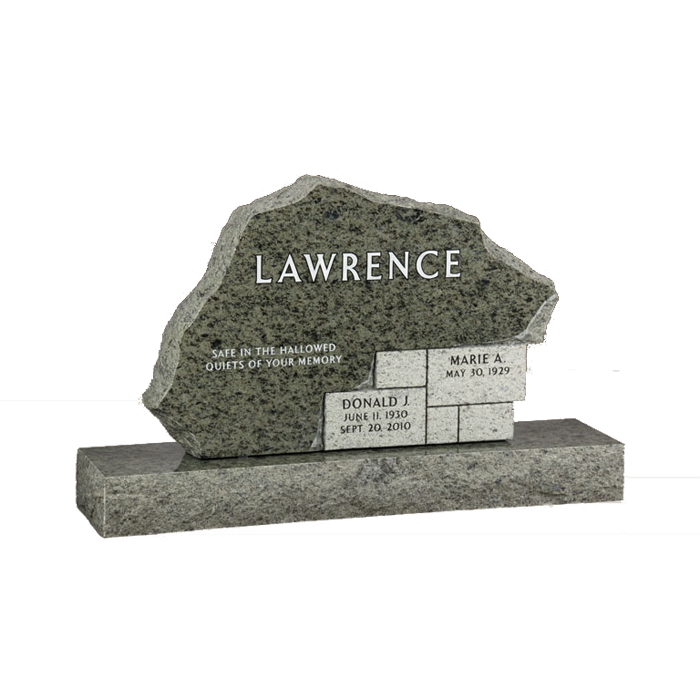 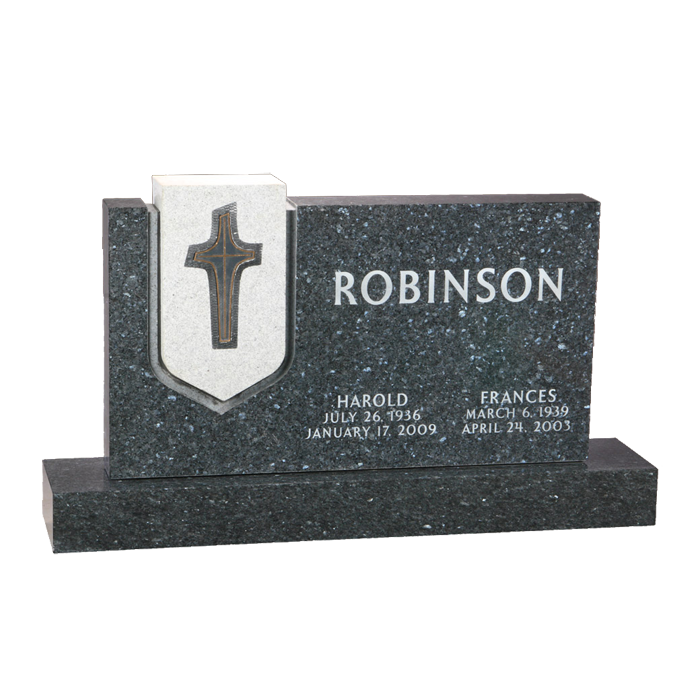 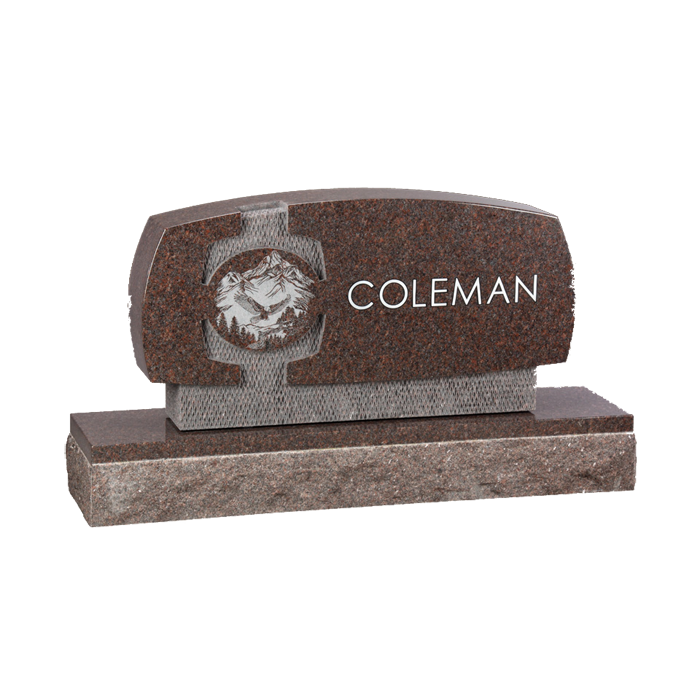 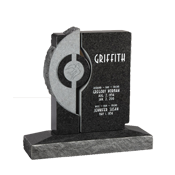 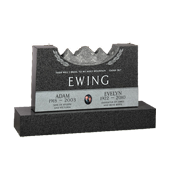 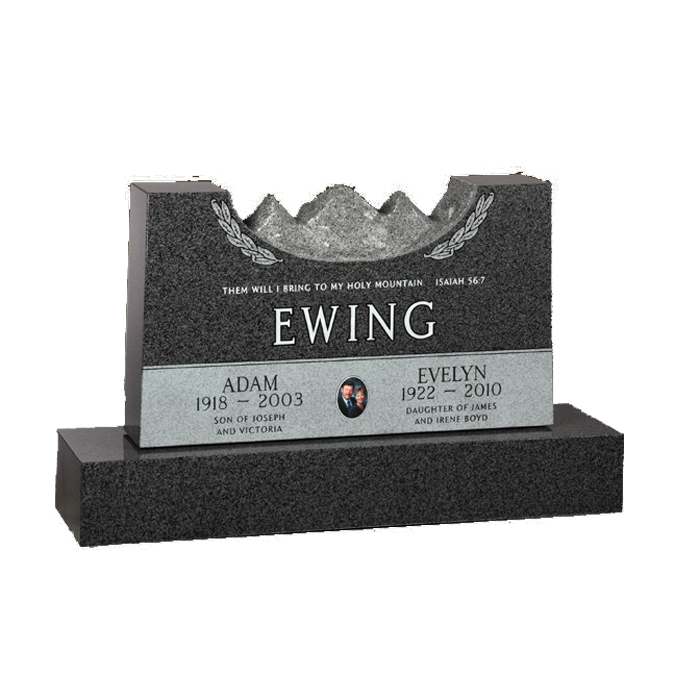 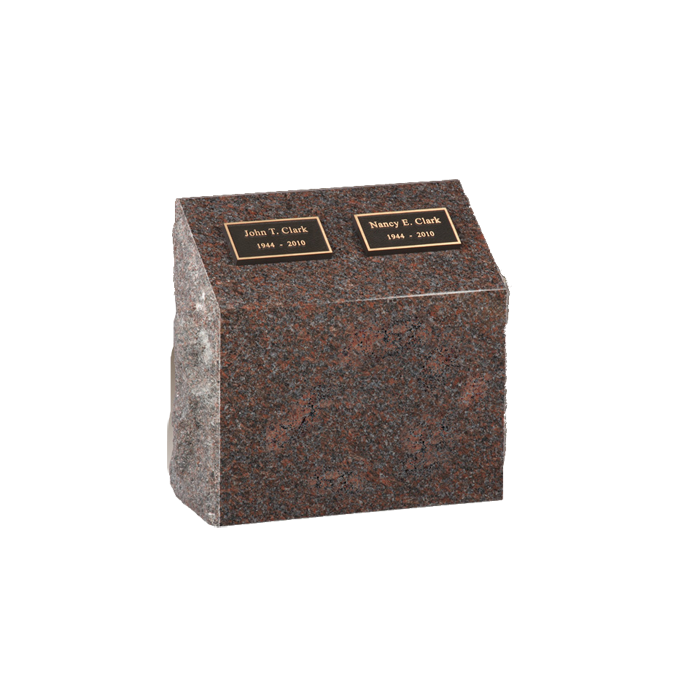 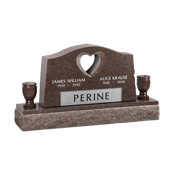 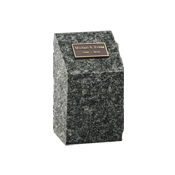 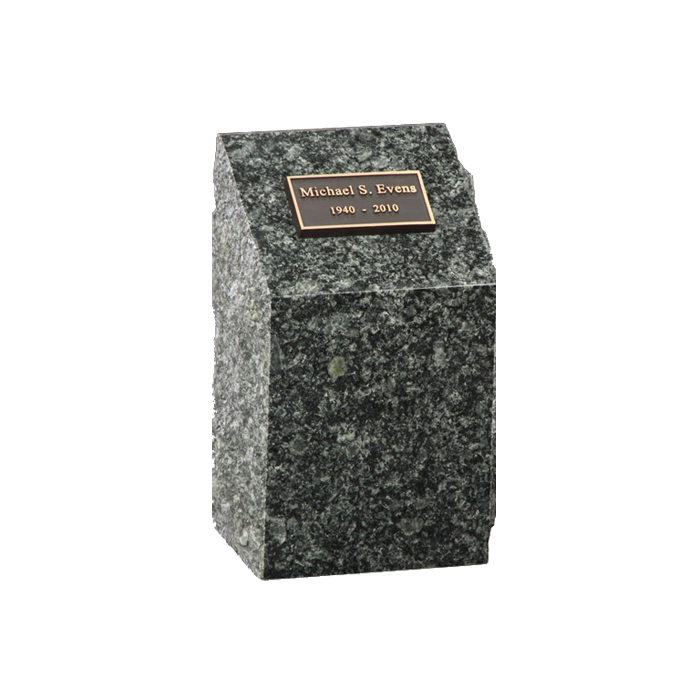 Jet Black Premier Line - Stylish and elegant monuments accented with sleek, black granite.